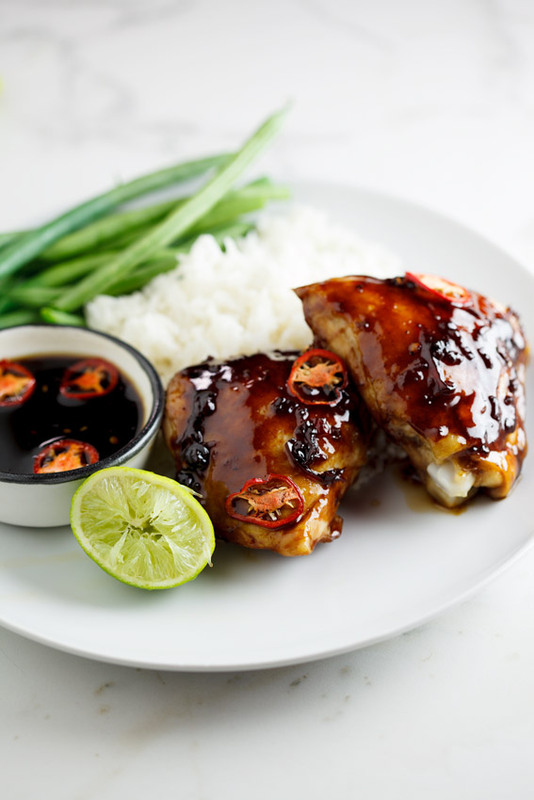 Most delicious sticky sweet chilli and soy baked chicken served with fragrant coconut rice will quickly become a family favorite. Every night while I’m cooking dinner the twins come into the kitchen and ask me what I’m making. And every night they say “Sticky chicken?” before I get to answer. Most nights they are disappointed because even though I love sticky chicken, I can only eat it so many times before I turn into a sticky chicken. 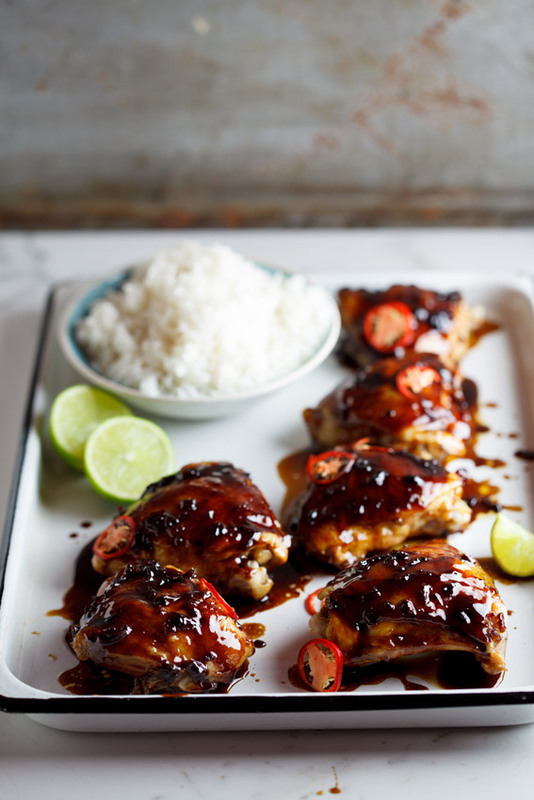 But when it comes to this sticky soy and sweet chili baked chicken, I’m just as eager as they are. 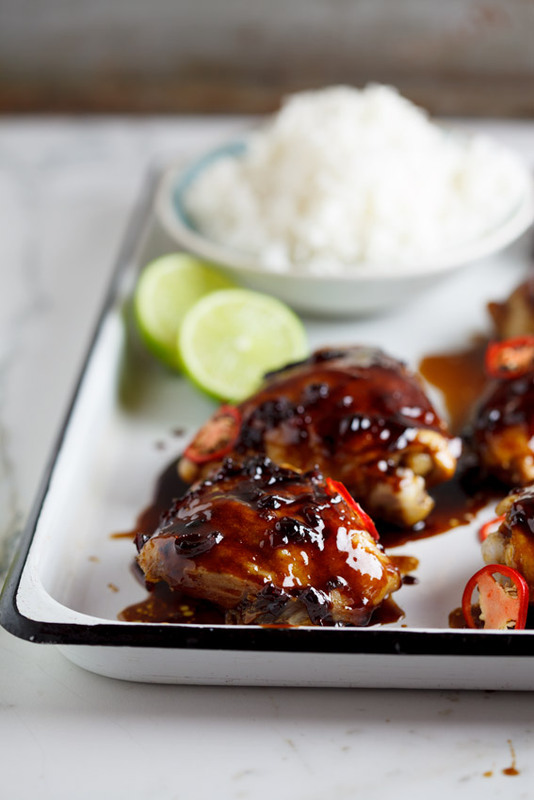 It’s no secret that I love Asian flavours and so when I was faced with chicken thighs a few nights ago with very little inspiration, I decided to make a glaze filled with Asian flavours to bake them in. I started by making a chilli syrup to which I added fish sauce, soy sauce, ginger and garlic. I cooked this down to a delicious syrup and then coated the chicken in it. If you aren’t a fan of spicy food, you can of course leave the chilli out or add a smaller quantity. Alternatively, the Soy & Honey glaze I put on these pork chops will work just as well. The trick to getting the chicken thighs coated in their sticky glaze is to continuously glaze them with the syrup as they are baking. I try to do it every 15 minutes. This builds up a shellac of sticky, spicy coating that is so good, you’ll be licking your fingers AND the plate. I served the chicken with the most scrumptious coconut rice which I made with Jasmine rice and coconut milk which I steamed together in the microwave oven. Disclosure… This is the easiest way to cook rice. My mom did it this way and I still make rice this way when I am in a rush/can’t be bothered to worry about it on the stove. I have a pyrex dish with a fitted lid which works just perfectly. Fluffy rice, everytime! 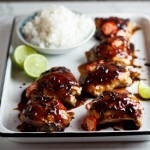 And with that gorgeous sticky glazed chicken? Weeknight dinner perfection! 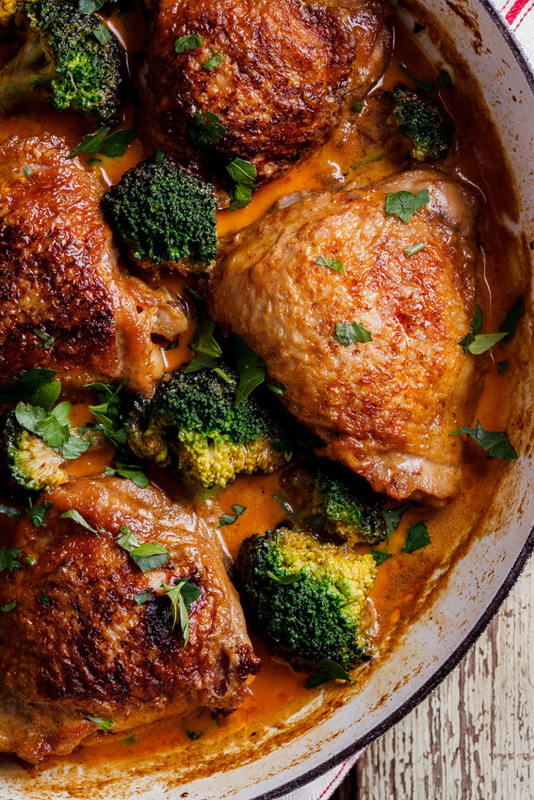 Have you tried this baked chicken recipe? Rate the recipe and comment below. To make the glaze for the chicken, combine the sugar and water together in a saucepan and allow to come to a simmer over high heat. When the sugar has dissolved, add the chillies, vinegar, soy sauce, fish sauce, ginger and garlic. Allow to simmer for 15-20 minutes uncovered, until the glaze has reduced and is thick and syrupy. If you are using previously frozen chicken, you'll need to cook it down more as the chicken will release a lot of water when it's cooking, diluting the glaze. Pre-heat the oven to 180°c and line a roasting tray with foil. Place the chicken thighs in the roasting tray then pour over the glaze. Place in the oven and allow to bake for 30 minutes-45 minutes, spooning the glaze in the pan over the chicken every 15 minutes, until the chicken is dark and sticky and cooked through. To make the rice, combine the rice, coconut milk, chicken stock/water and salt in a small pot and bring to a simmer over medium heat. Cook to packet instructions until rice is cooked through and fragrant. Serve the chicken with the rice, lemon wedges and steamed green beans. If using frozen chicken, boil the glaze for an extra 5 minutes and bake the chicken at a higher temperature, as the chicken will release a lot of moisture and will result in a runnier glaze consistency. Ek love die write-ups, baie oulik. 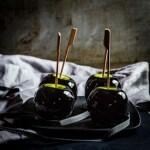 Great resep ook! Thanks. 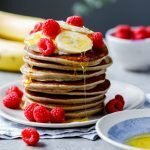 😉 Die resep is een van my favourites. 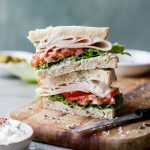 I was wondering if you’ve ever made this with bone-in chicken breast? Also if you use skinless or skin-on chicken? No, I never have used chicken breasts as I’m always scared that it might dry out a lot. And definitely skin-on as that is what the sauce sticks too. Had the same problem with the thickness of the glaze, but it tasted delicious nonetheless (received a lot of compliments on “my” cooking!). 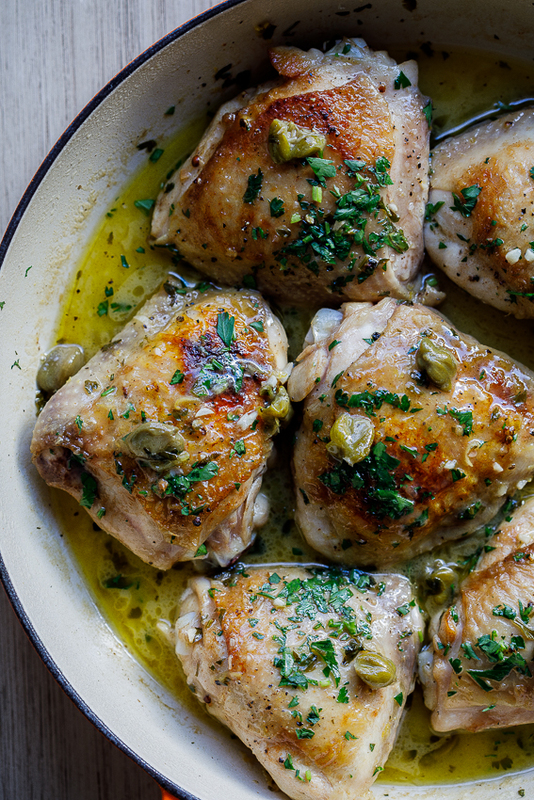 Maybe you can add a side note in the list of ingredients that it’s best to use fresh chicken? Or maybe add some instructions on how to make this dish with frozen chicken? Less water maybe? Arantja, that’s a good idea! I’ll definitely amend the recipe. Glad you liked it, nonetheless! This never reduced for me in the pan, and didn’t thicken during cooking. So strange, it looks nothing like yours and I followed perfectly with thawed chicken. Jessica, that’s very strange. 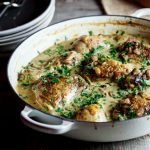 What was the consistency of the glaze like after you cooked it (before pouring over the chicken)? Fresh chicken used. Turned up heat on oven. Sauce still watery so now trying to caramalise under the grill. Nope…still watery! I too think 2 cups of water is way too much! Hi Kerrie. Did you reduce the glaze before pouring it over the chicken? Bert, did you use fresh chicken or was it previously frozen? I tried this recipe tonight, and while it still came out tasty, like a few others my sauce never thickened up. I used the exact ingredients, just halved the recipe. Any advice on how to get your sauce to thicken? I’d love to try again! Aspen, like I’ve mentioned before, if your chicken was pre-frozen that could’ve made the sauce watery but if it was fresh, perhaps turn your oven up slightly and bake the chicken for longer. As all ovens vary, this might be the problem. My oven might just be very hot. It’s important not to crowd the chicken in the dish you are baking it in so they are allowed to roast properly. Alternatively, you could pop the grill of your oven on 15 minutes before the chicken is done just to get that caramelised, dark and glossy look you see in my photos. I hope this helps! Do you think I could substiture the Suger with Hiney? Can’t wait to try this recipe!! Thank you 🙂 I am going to try it tomorrow! Hi Kirsty. Oh dear, was the chicken perhaps frozen before hand? I know that frozen chicken releases quite a lot of water while cooking. 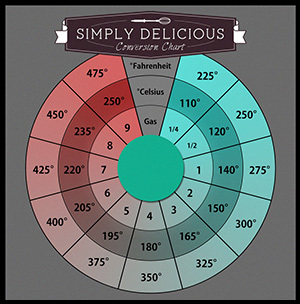 Other than that, it could just be that our oven temperatures vary. If you’d like, perhaps try it again and increase the temperature. Just allow the sauce to caramelise (it will eventually because of the sugar content). If you’re scared your chicken will burn/overcook, remove it from the pan and allow the sauce to caramelise then simply add the chicken back when the sauce is to your liking. Hi B. I always bake my chicken at 180 and it turns out well (remember it’s centigrade, not Fahrenheit). If you like, you can turn the oven up but then keep an eye on it as the sweet glaze can burn quite easily. Are you sure the oven temp is 180 ? Seems too low. I have to get some fish sauce and try this. The picture is making me drool! Could you give details on steaming coconut rice in the microwave? I’d LOVE to try that. I simply use a pyrex dish with a lid and use half water/half coconut milk. I steam for approximately 20 minutes on high for 2 cups of rice and it works perfectly every time. I made this the other night, and it was superb! I will definitely be making it again. Because I was only cooking for my husband and I, I halved the quantities for the rice and cooked it on the stove. If I had to do it in the microwave, how long would you suggest I cook it for? (I used Basmati rice). I have a Tupperware rice cooker. 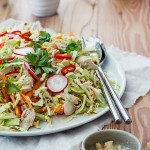 Would I be able to add coconut milk to that and cook it as I normally would (about 15 mins)? I’m a terrible rice maker!! So glad you liked it Clea. Yes, you can definitely make the rice with the coconut milk in the rice cooker! Thanks for your lovely comment Maggie and thanks for sharing! Got to try this chicken. It looks so sticky good…and my love of coconut just coconut pushed me right over the edge with the rice. I hope you enjoy it Bonny! As jy gewone rys in die mikrogolf kook, hoe lank kook jy dit en teen watter temp? Vervang jy die coconut milk met water? Annette, ek kook dit op hoë temperatuur vir so 20 minute and dan laat ek dit vir so ekstra 10 minute in die mikrogolf oond staan en stoom. Dis dan so beker vol ryd met 2 bekers water. Een van my bekers vat so ongeveer 350ml se water/rys. As dit net gewone rys is dan gebruik ek net water en sout. Made this tonight and the sauce was very runny, even after boiling it 2x the called out time to cook. Are you sure the water amount (2cups) is correct? Thanks! Julia, yes I used 500ml water which is 2 cups. The sauce is quite runny before you pour it onto the chicken because it will caramelise quite a bit in the time it takes for the chicken to cook. If it’s too thick when you pour it onto the chicken, it will burn and become bitter. It needs to be the consistency of maple syrup, like I stated in the recipe. That’s such a pity. That didn’t happen to me, in fact the sauce almost became too thick. Did you use defrosted chicken by any chance? Ha! Um, yes *blush*, thanks, now I know not to make that mistake again. 😉 It happens to the best of us. Sometimes defrosted chicken is fine but there are times where there is a LOT of water in the chicken that cooks out. If you can, try this again with fresh chicken and see if it works better? Thanks for the lovely comment Pang. Hope you guys like it!